Updated November 2016, as the original section of the proposal to create a route through Bramall Hall Park has been abandoned in favour of Bramall Hall drive which was recently redesignated as a shared path. Sign on Bramhall Park Road. 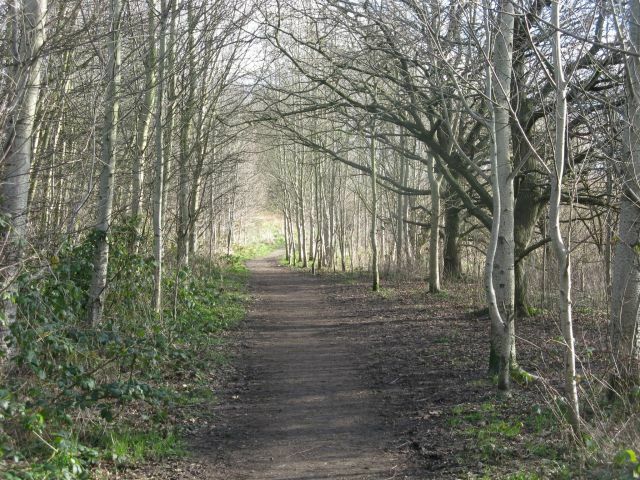 A proposal has been published to create a cycle route from Bramhall Green to Cheadle Hulme station, funded by the Cycle City Ambition Grant, by converting the public footpaths of the Ladybrook Valley Interest Trail. 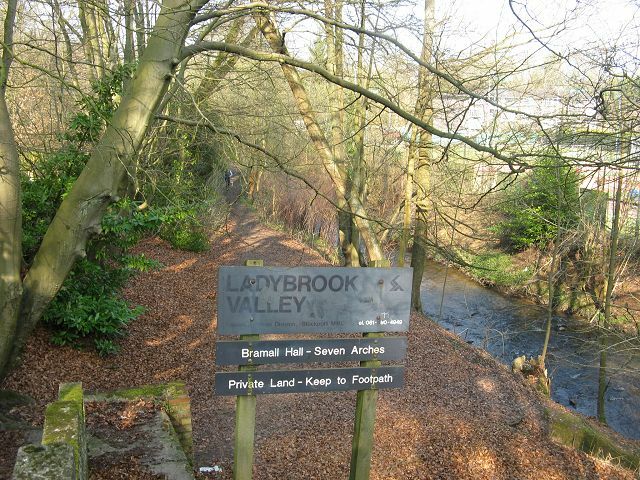 The route would use the the Bramall Hall drive, and then run down the Ladybrook Valley Interest Trail, currently a footpath only. 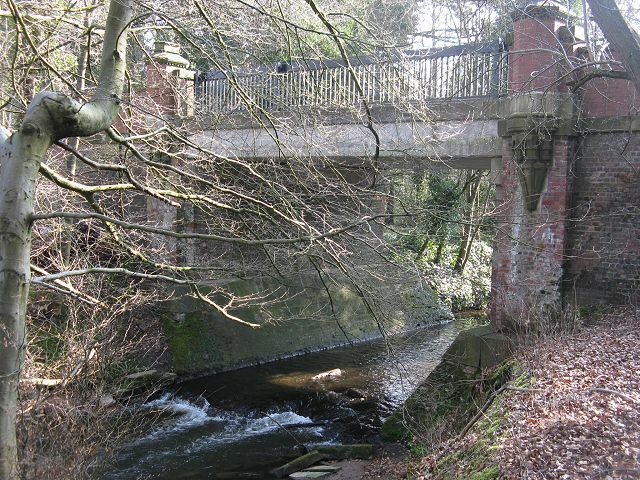 The route would cross Bramhall Park Road (which would be traffic-calmed) to the Ladybrook bridge, then down to the riverside path. This view looks towards Cheadle Hulme from the bridge. Concrete steps currently descend on this side to the path. The bridge looking back from the Cheadle Hulme side. 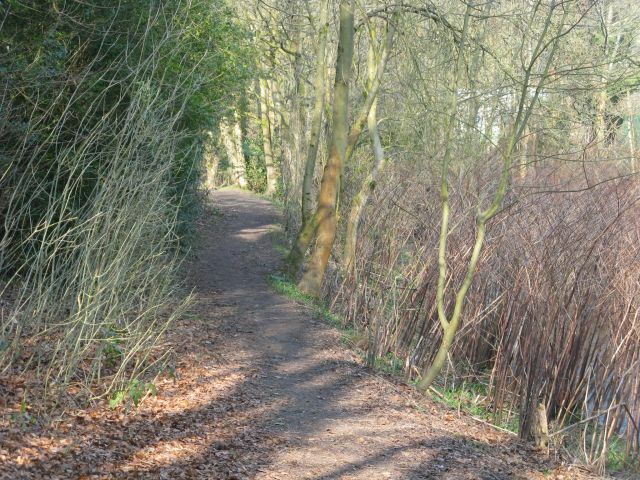 Looking along the upper part of the path towards Cheadle Hulme. ...emerging into open fields at river level. 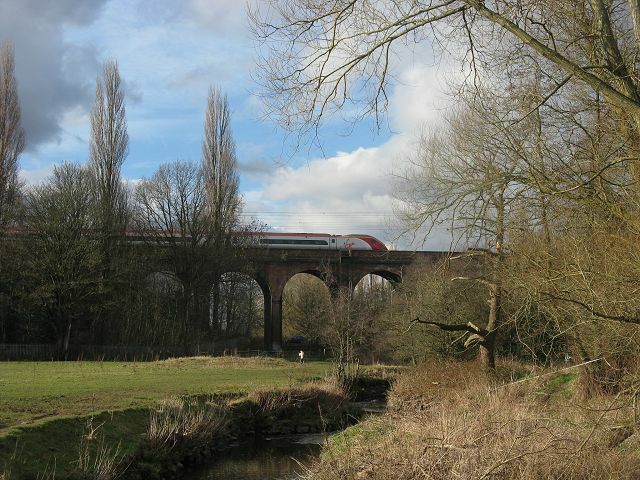 On the way, paths branch off on the left connecting to residential roads in Cheadle Hulme, whilst the Ladybrook route passes under the railway at 'Seven Arches' viaduct to meet Ladybridge Road. This section of path is not currently surfaced and the field is used for grazing, so would need to be fenced. 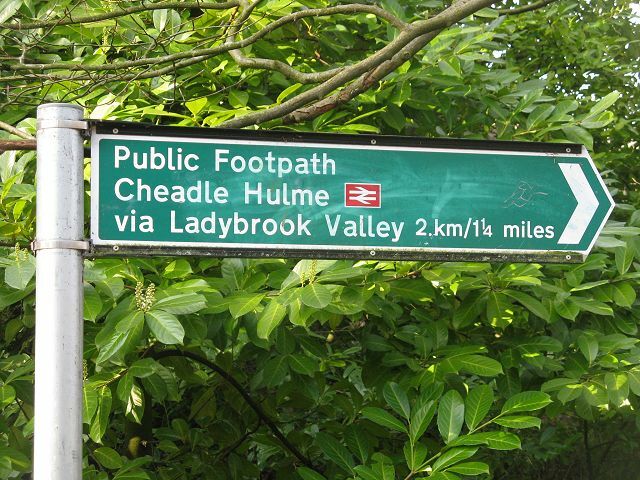 A shared path on the pavement is proposed for a short distance along Ladybridge Road to meet the public footpath shown above which leads to Cheadle Hulme station. This path would also be converted to allow cycling It is surfaced and lit, but currently starts with a flight of steps, and is blocked by gates to prevent cycling, or possibly to retain livestock. 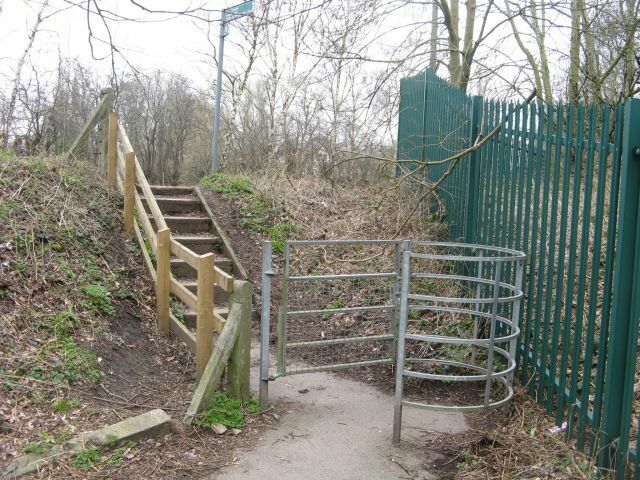 This area would be re-profiled to removed the steps, and the path would be widened using some Network Rail land. 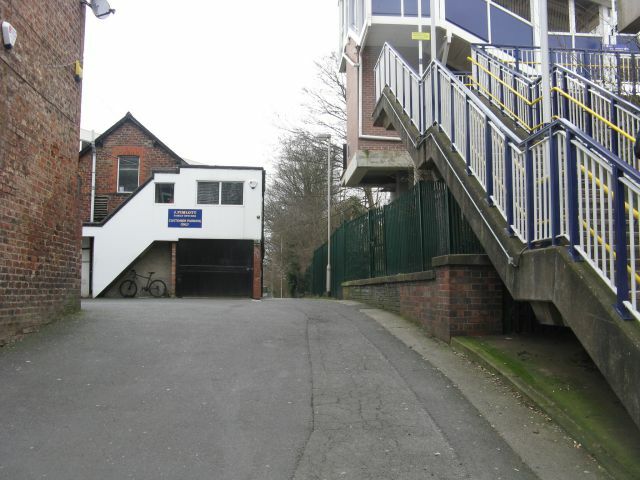 The path emerges immediately adjacent to the steps leading to Platform 1 of Cheadle Hulme station, but to reach the lifts and 'cycle hub' (when finished) cyclists must travel under the two railway bridges and uphill into the car park on the other side of the station.